Beat the butter, icing sugar and salt until light and creamy. Add the onion and garlic and briefly continue stir frying. Add the flour to the butter mixture and quickly combine to a smooth dough. Cover and refrigerate for approx. 1 hrs. On a lightly floured surface, roll out the dough in batches to approx. 7 mm thick. Cut out the cookies with a cookie cutter. Transfer the cookies to an oven tray lined with baking paper. Chill again for approx. 15 mins. Bake for approx. 13 mins. in the centre of an oven preheated to 200°C. Remove from the oven, allow to cool on a cooling rack. Mix the icing sugar and vanilla sugar and dust over the cookies. Cut off a small corner of the bag. 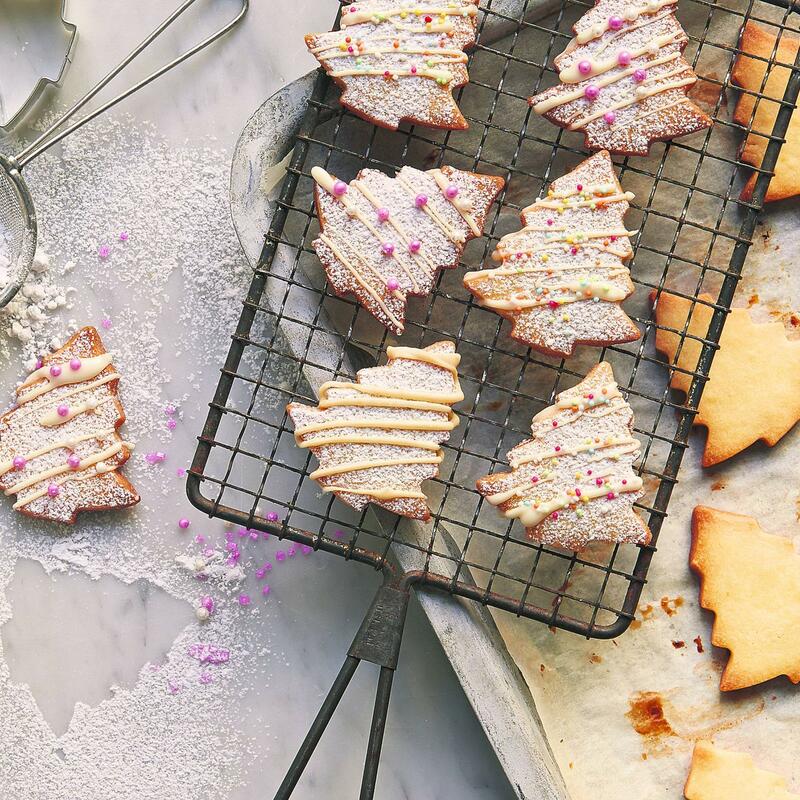 Quickly and generously distribute the glaze over the cookies in a zigzag pattern and decorate immediately with the sprinkles, leave to set.